Diesel technology has come a long way in recent years from ultra-low sulfur diesel to biodiesel. Gaining DPF filters to cut down on emissions and high efficient common rail injection systems to gain maximum miles per gallon. 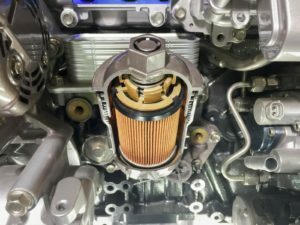 All of these changes are great if you are taking the proper steps to keeping your diesel vehicle running at peak performance. How do you do that you may ask, well luckily for you we are here to help. Turbochargers are a huge part of making your diesel run efficiently. In order for you to get the maximum life and performance out of your induction system there are a few simple ways to make sure this part does not fail prematurely. First off always allow your vehicle to start up and idle for a few minutes. Getting in and mashing the gas as soon as you start it is one of the worst things you can do to a cold engine. You must allow time for oil to reach all the nooks and crannies inside of your engine, the turbo is just one of the major parts this oil needs to reach. Oil additives are also great for turbochargers and oil systems in diesel vehicles due to the amount of heat these engines create. Oil additives will help keep lubrication at peak levels and help these intricate parts stay running for a long time. Fuel has been going between ULSD and biodiesel. These are the two main fuels you will see at any truck stop or fuel station. No matter what one is readily available near you a diesel fuel additive is always necessary. Diesel fuel additives will keep those injectors flowing at full capacity, with a nice even spray pattern. You also want to find a fuel additive that demulsifies water. A lot of additives on the market will try and burn the water out through the injection system, but why? Why make it harder for your diesel vehicle that has a fuel water separator for a reason? The fuel water separator is made to take the water out of diesel fuel, so find yourself an additive that removes water and makes that systems job that much easier. Another thing diesel fuel additives are great for is fuel gelling. In the cold months no one wants to go out to their vehicle for it not to start, so why not have a sense of security by using a fuel additive to eliminate this headache. This is another vital maintenance item on a diesel engine. Diesel oil changes are critical – as stated before, these engines are high heat running motors. Engine oil life all depends on how often the vehicle is driven and the conditions which it is being used. It is crucial to follow OEM recommended oil change intervals in order to keep your engine humming down the road. While engine oil seems it would be the only filter you should have to worry about its not! Diesel fuel filters need to be changed at certain intervals as well. With today’s diesel fuels this is just as important as changing your oil and air filters. This needs to be a priority service item as well. 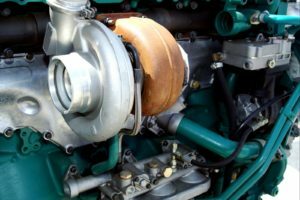 We’ve said a few times in this article that diesel engines are high heat engines, and it’s true! So, let’s talk coolants. For anyone who has ever walked in to an auto parts store and needed coolant and had no idea what they were looking for, we’re sure when you got to the cooling section you got a headache. There are different colors and different specifications, and you asked yourself what one is right for me? Again you are going to want to use the OEM recommended coolant. Mixing coolants is one of the worse things you can do to any engine. This can create a chemical reaction and leave your cooling system looking like you were trying to make a milkshake. This will leave you with new set of issues all the way down to needing an entirely new engine. Another thing people think of doing is adding water. While if you are stranded on the side of the road and this is all you have by all means do it, but once you get where you need to go you have to switch it back out for the recommended coolant. 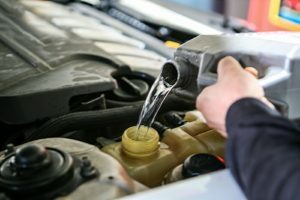 Plain water does not disperse heat as an actual coolant can, so over time this can lead to bigger problems as well, not to mention your engine block could crack and freeze in those cold winter months. Keep your foot off the pedal until your engine is at operating temperature to make sure all those intricate parts are properly lubricated. Use a diesel fuel additive such as DIESELPOWER! Complete to keep your injection system clean and your fuel from gelling. Stay on schedule with your oil, air, and fuel filter changes. Lastly, make sure the coolant you are running in your engine meets or exceeds OEM specifications. Lastly, turn the key and get on down the road with your happy, healthy engine! These tips are very helpful! Will definitely share this! This site give all the information that I needed, thanks that i found this! I have an International 7.3 diesel truck model 443e with a lift gate. Wont start no noise. any know common issues with this model ? Article is very useful. The way point out the tips language is also very smooth. Expecting more article on diesel engine specially on air intake system. Having lots of confusion about cleaning interval of Air Filter. I am referring the heavy equipment application. Much appreciated. These are very useful tips! I agree that it’s really important to look at all of the parts of your diesel to ensure it’s working at it’s best at all times. I will have to be better about that. Thanks for the tips. When you said that mashing the gas as soon as a car with a diesel engine turbocharger is one of the worst things to do, it reminded me of my cousin. He just bought a custom car so that he can race around hills on free weekends. To keep his car in tip-top shape, I will find a diesel repair shop and send him there. Doing this will add more years to its life. Very nice content and I like this very much. Diesel trucks programming and maintenance are very important for good results. I have always taken care of my truck with the best maintenance services and distance deletion. And yes by doing these will add more years to the engine’s life. Thanks for pointing out that diesel fuel additives help to keep the fuel injectors operating at their full capacity. I’ve been trying to learn more about diesel fuel since my husband is considering buying a truck that uses it. I appreciate you sharing this info about the purpose of additives in diesel fuel! Thanks for pointing out that oil additives are great for turbochargers and oil systems in diesel vehicles due to the amount of heat these engines create. My husband and I just bought a diesel truck for the first time, and we’re trying to figure out how we need to take care of it. I think that it would also be smart for us to have a good diesel mechanic that can tell us more about oil additives and what else we need to do to keep our truck at 100%. Being a key component, the engine needs special attention to last long without any major mechanical issues. Some people often ignore the importance of routine maintenance which could cost a lot. So, the condition of different components of the car should be subjected to an inspection on a daily basis and abnormal signs which indicates that the engine has some sort of mechanical abnormalities should not be ignored. The reason behind the appearance of such a sign needs to be identified and repaired in time to keep the vehicle in working order.